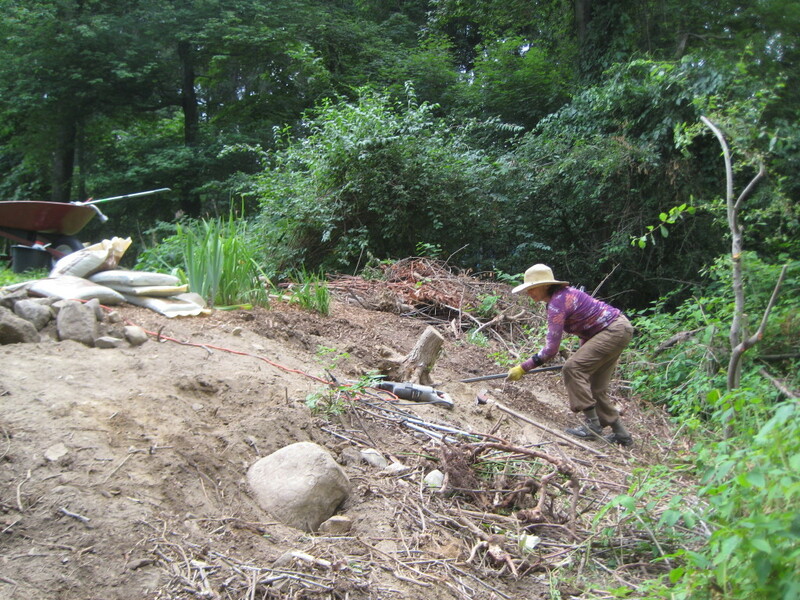 Carol removes a stump after clearing a tangle of exotic invasive plants on the sloped perimeter of a client’s lawn in Sharon, MA. 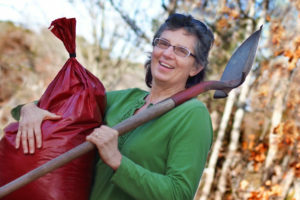 Trees and shrubs, vines and weeds getting the best of the perimeter of your yard? Reclaim it! That’s what I did for a client in Sharon, MA, They were getting ready to sell their house, and I wanted to leverage their back yard with an expansive view to a trio of established but hidden ash trees on the edge of the property. 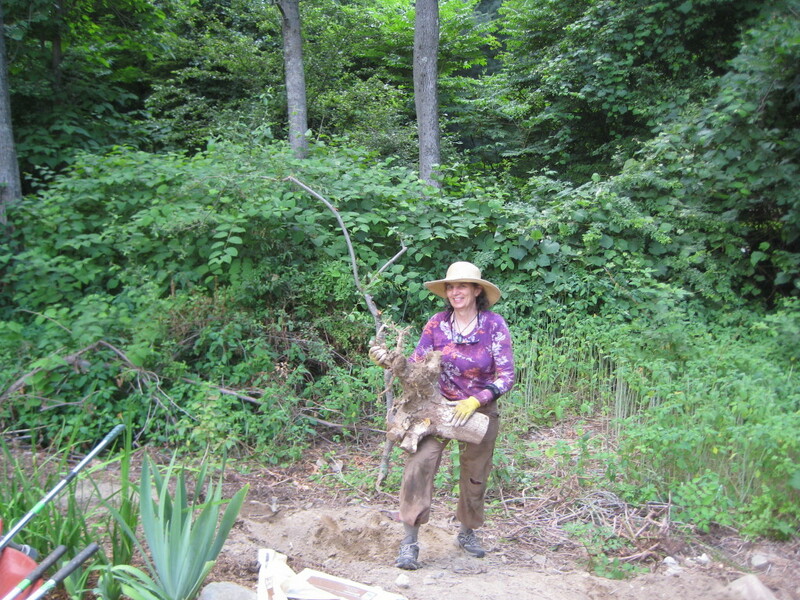 So I cut down a few small trees and hacked out their roots, removed lots of exotic invasive plants like multi flora rose, Asian bittersweet and garlic mustard…though the knot weed is still a work in progress. Carol didn’t let this stump stump her. Her reciprocating saw and pry bar and patience did the trick. She did this to open the view to the large trees in the background. It’s hard to see, but behind the iris is a native Viburnum shrub that had been hidden by overgrowth. This entry was posted in Carol's List of Bad Plants, Invasive plants, MA, Native Plants, Sharon MA and tagged bitterseet, curb appeal, gardens, invasive plants, landscape, multi flora rose, Native plants, reclaim perimeter, Sharon, Sharon MA on September 23, 2016 by admin.